French painter, active in Paris. 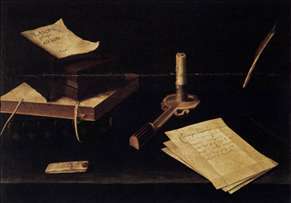 He painted religious works and has earned the nickname "Le Petit Guide" (Little Guido) because he was strongly influenced by Guido Reni. This suggests that he visited Italy, but there is no firm evidence. 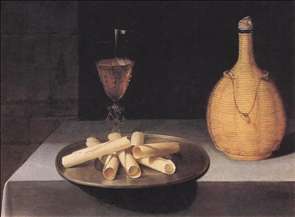 A small group of strikingly austere still-lifes, signed simply "Baugin" (examples are in the Louvre), has also been attributed to him, although there is little in common between these pictures and the religious works. 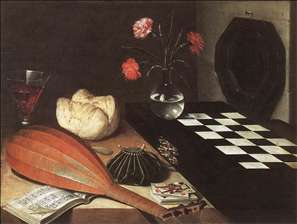 See more details about "Still-Life with Candle"
See more details about "Still-life with Chessboard (The Five Senses)"
See more details about "Le Dessert de Gaufrettes"